We design electronic circuits and prototypes. We offer the expertise, and experience of a large engineering design house with the personal attention of a small business. The client shares his requirements with us. All of these ideas and features MUST be committed to paper. Price and terms are agreed to. The schematic is designed with readily available components. BOM (Bill Of Material) is generated and parts are ordered. The printed circuit board is designed with manual routing. PCB plot files, "gerbers" are generated and sent to any bare board house. Embedded code or FPGA design, if required is started while boards are being fabricated. Bare Printed Circuit Boards are manually assembled on site by the original designer. Assembled boards are debugged and tested against the written requirements. All design files are updated to reflect any modifications to the prototype circuit board. 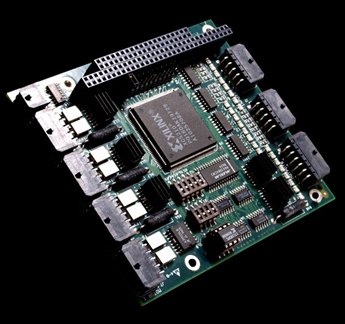 On final payment, you own all design files, schematic, BOM, PCB layout files, gerbers, embedded source code, FPGA design. Now any contract manufacture can manufacture your production boards.